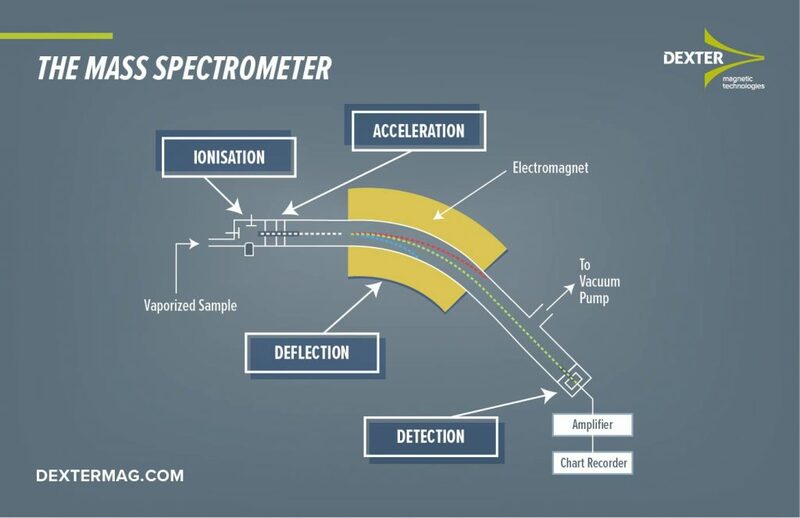 A simple diagram of the basic elements of a mass spectrometer. A rare permanent magnet system can replace a high power consumption electromagnet in the beam bending or deflection section a mass spectrometer. Bias magnets are used to confine the beam and stabilize the current to narrow the energy range of the ions. There are several different sources and methods to create ions each with advantages and disadvantages. There are also a variety of ways to filter the Ions – Wien filter is one example. The purpose of the filter is to isolate the ions of the same velocity. Ions with the same velocity and charge enter a region with uniform magnetic field perpendicular to the velocity. In the deflection area, the ions are separated by their mass. Ions with different mass are deflected and collected at different locations of the collector. 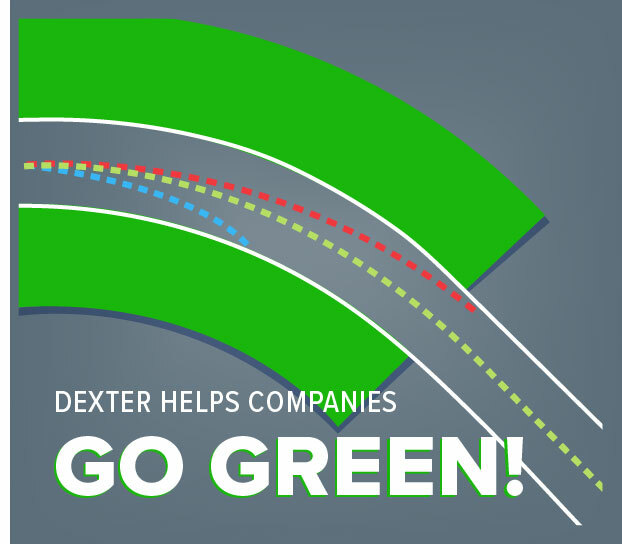 A permanent magnet system lowers operating cost and weight. Custom dipole magnets replace the electromagnet. 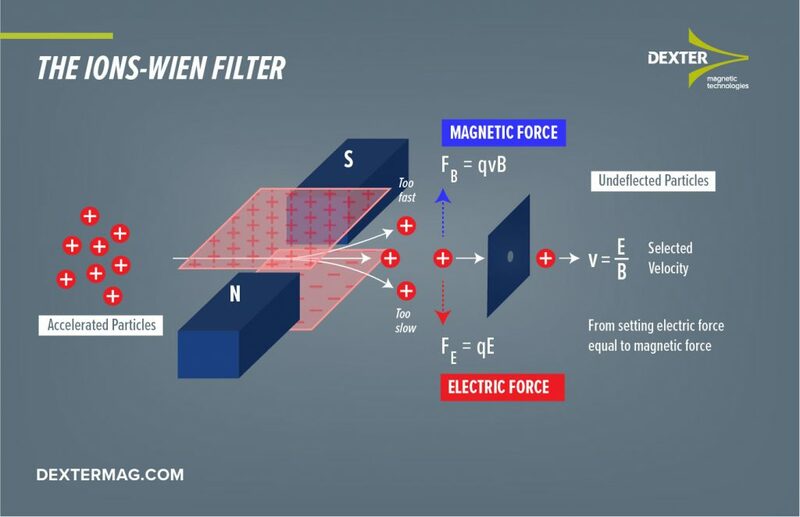 The ability to manufacture and characterize magnetic dipole with a uniform magnetic field is essential for optimum performance. 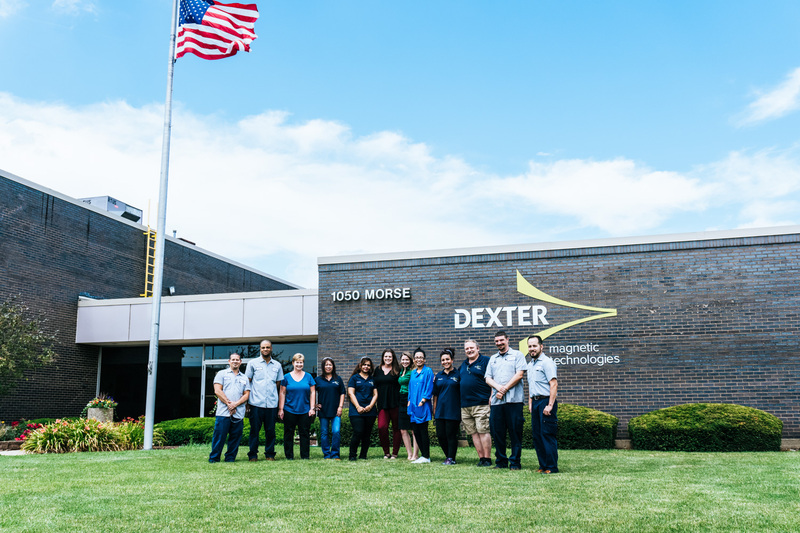 At Dexter, we offer design assistance with particle trajectory analysis and the calibration of the magnetic field, along with ion source bias magnets with tight tolerance on deviation angle to help our customers build an efficient and high-quality product.